The first ever “Best of” collection. This album contains DBT's greatest hits from the years 1998-2009 and features songs from 8 records: Gangstabilly, Pizza Deliverance, Southern Rock Opera, Decoration Day, The Dirty South, A Blessing & A Curse, Brighter Than Creations Dark and The Fine Print - A Collection Of Oddities And Rarities (2003-2008). It was produced and mixed by David Barbe, who has been with the Truckers since their beginning. The album be released both on CD and vinyl. 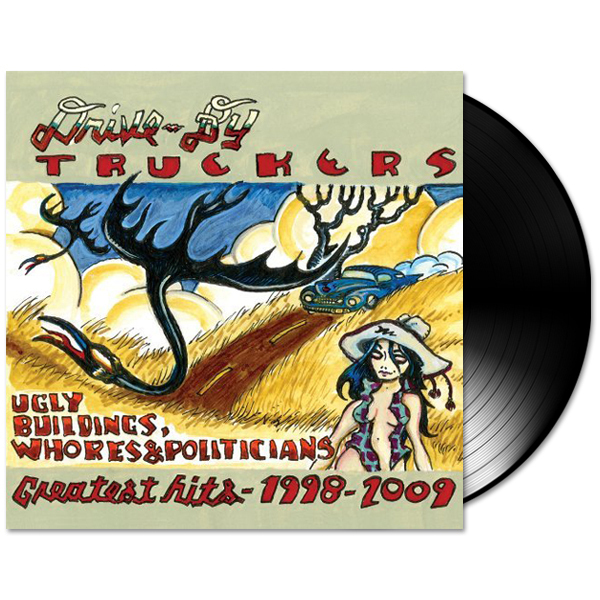 This greatest hits album leads fans on an abbreviated journey of what the band has accomplished in their first 11 years as the Drive-By Truckers. Compiled by Patterson Hood. Liner notes by Rolling Stone’s David Fricke.